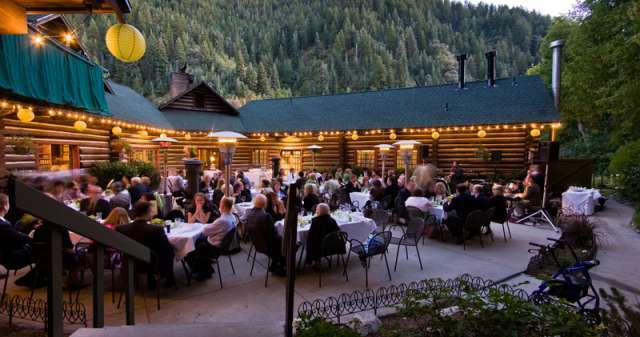 Log Haven restaurant invites well-behaved canines and their human companions to escape the hot valley this summer and visit the restaurant for Dog Days of Summer, an al fresco dining event just for dogs and the humans who love them. Starting May 25th and continuing through September, take a hike in cool, green Millcreek Canyon and then enjoy a refreshing beverage and a delicious snack or meal from the new summer menu in Log Haven’s outdoor amphitheater while Fido relaxes with fresh water and doggie treats. Owners can reward especially good pups with menu items that Chef Dave Jones will prepare just for them, including K-9 game kabobs ($5.50). In honor of Dog Days, a special limited-time drink menu will be offered, featuring favorites such as the Melon Collie Mojito, the Sober Dober and the Salty Chihuahua, made from a blend of grapefruit juice, anejo tequila and agave nectar. Log Haven will kick off this year&apos;s Dog Days program with a photo contest starting on May 25th and running through the end of June, with Dinner for Two awarded to the best photo. To participate in the photo contest, dog owners of all ages should submit photos of themselves with their dogs enjoying Log Haven, Millcreek Canyon, and the Wasatch National Forest (contest details available at www.log-haven.com). Log Haven is located at 6451 E Millcreek Canyon Road in Salt Lake City.